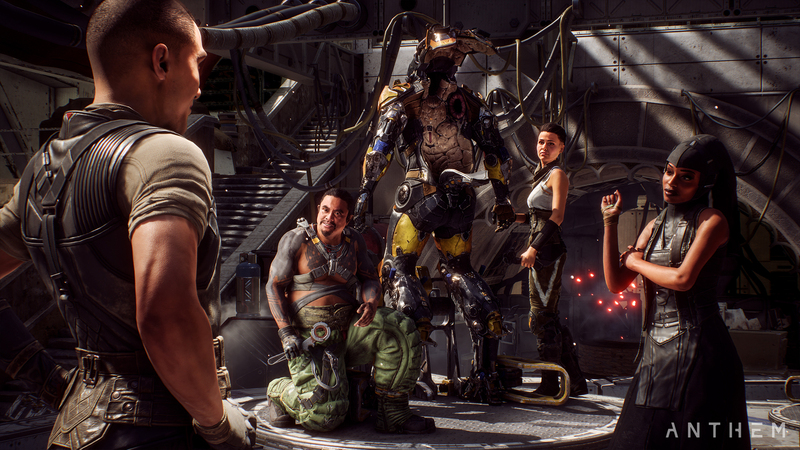 BioWare’s highly anticipated sci-fi co-op shooter Anthem had some juicy reveals for attendees of the panel today at PAX West. 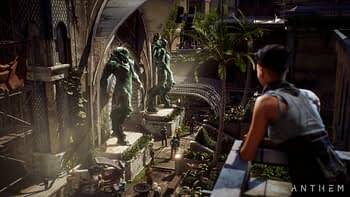 Of all the details shared at the Anthem panel, perhaps the most fascinating was the new footage revealed to fans as part of the “Our World: My Story” trailer, which gives a ton of details on how the game will try to seamlessly blend BioWare’s signature deep single-player story with an open, shared multiplayer world. 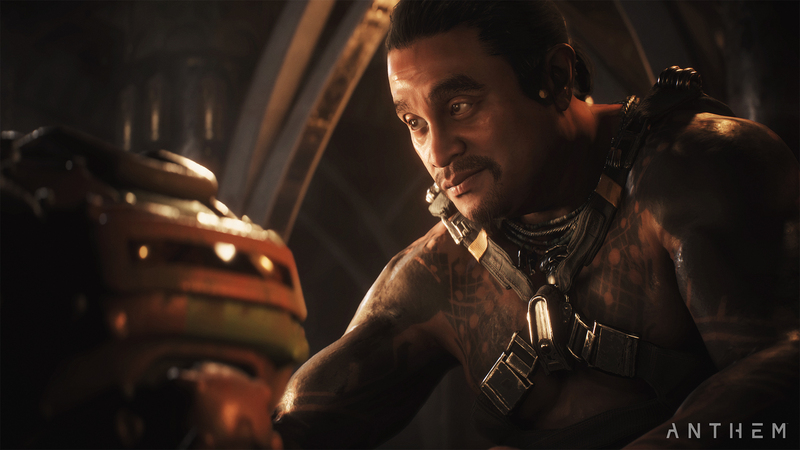 Most of the deep single-player aspects of Anthem — the relationship building and roleplaying — will be relegated to the inside of Fort Tarsus. 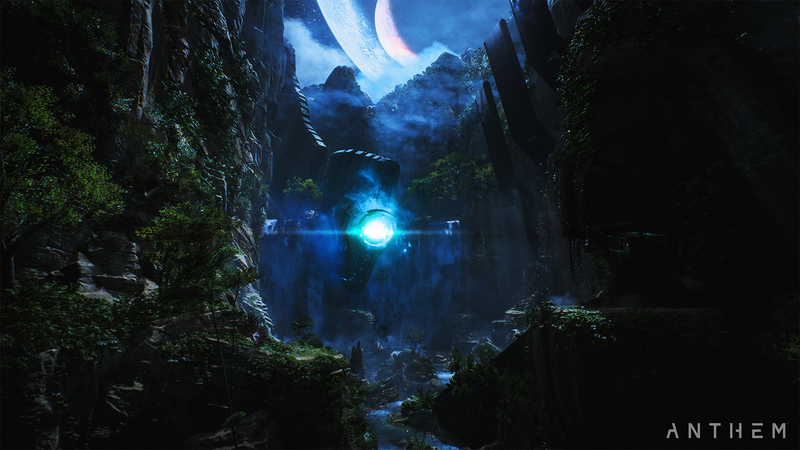 Outside of Tarsus you can explore the open world alone or with a group and experience the more action-based aspects of the game’s main campaign. 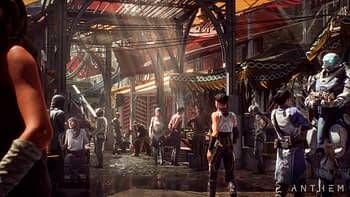 So all the shooty bits will happen out in the world, while the personal touches and relationships with your pit crew NPCs will be contained within the safe walls of Fort Tarsus. 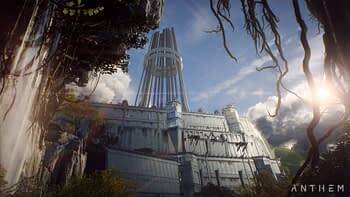 Much like they were inside the Normady, Kirkwall, or Skyhold in the Mass Effect and Dragon Age games. That said, “Anthem is Anthem, it’s not Mass Effect, it’s not Dragon Age,” was one of the key talking points of the panel. You cannot romance your pit crew or other freelancers, but you can make personal relationships with the characters. Choices are binary but “aren’t black and white” choices. However, you can still have nuanced interactions. “Its less brute-force storytelling,” is how Mark Darrah put it. 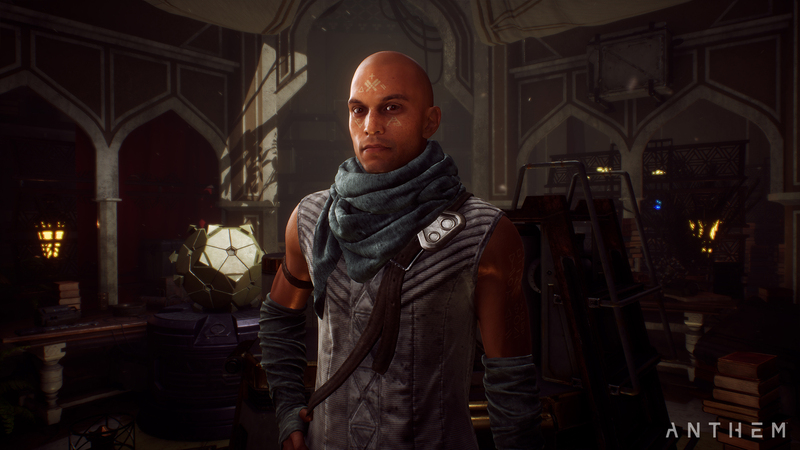 It helps that Anthem will be live-service. So it will get regular end-game story updates and new raids (called “Strongholds” in game). Raids are the only content pieces that require you to play with other people. The dev team has also put a lot of work into making sure all of the in-game conversations have impact and depth — unlike some of the flat, low-level conversations that ruined moments in Inquisition. Additionally, your pit crew won’t always like you. However, that will not gate content. So you can absolutely play in a way that makes every NPC hate you. 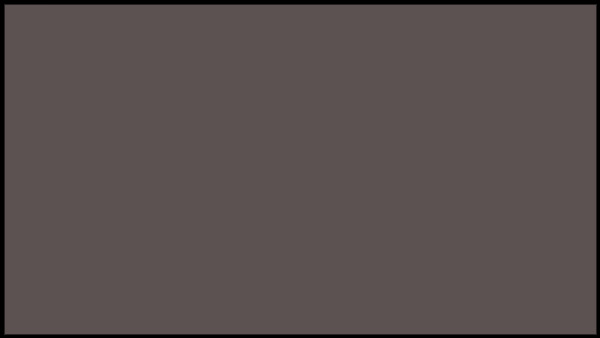 Based on your choices and your missions, your instanced version of Fort Tarsus can change. So your Tarsus and your friends’ may look very different. However, you can’t jump to your friend’s Tarsus. As for the multiplayer moments, you can go back and replay missions with friends to get them caught up. 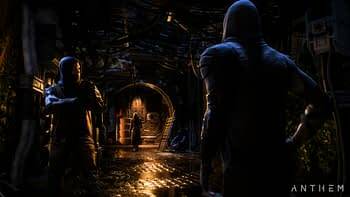 Replaying a mission will have differences in the storytelling. Right now there is no way to bring your friends forward in the game to play with you; the team is unsure if they’ll implement that feature. Anthem will not have PvP at launch. It may be revisted after, but the team wanted to focus on PvE first. As for the new trailer, nestled underneath that massive info-dump that makes up the trailer’s narration is some awesome gameplay that show off the various Javelin exosuit powers, the sprawling landscape, and epic combat that we can expect to experience in the broader open world as we fight to defend the titular Anthem of Creation. 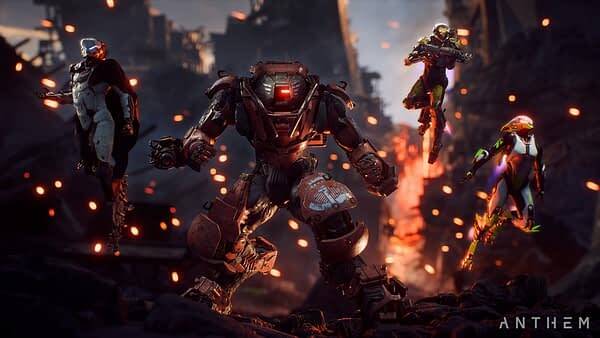 Anthem is slated to release February 22nd, 2019 for Xbox One, PS4, and PC. 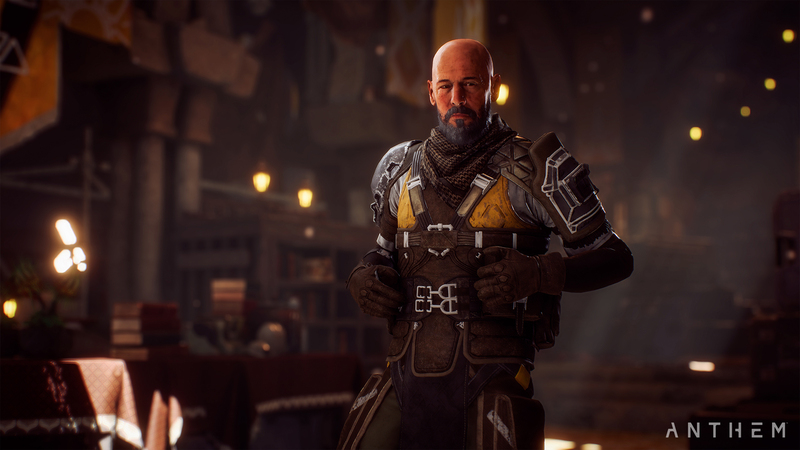 Anthem is getting a VIP EA Access and pre-order demo this fall. It will not be device restricted. You can check out the gameplay below and the new screenshots in a gallery just underneath.